Great looking full hubcaps for any 14" standard wheel. 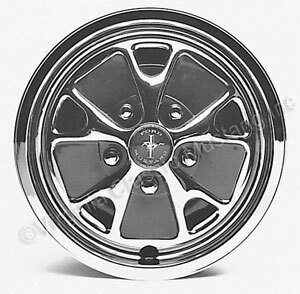 They look like real Styled Steel wheels but for a fraction of the cost. Great alternative for six cylinder/4 lug wheel-equipped cars. Four red centers (HB14) included.